During this month, many congregations acknowledge their pastors and ministers that provide them with spiritual leadership and support. This appreciation is deemed worthy because faithfully committed clergy have an important role that is packed with heavy responsibilities in the lives of those in their churches, communities and families. But do you know what is often not recognized among clergy? Emotional, mental and spiritual sufferings. Like other caregivers, clergy spend a great deal of time caring for the needs of others and have no one to care or pay attention to their needs. They often push themselves to the limit and neglect to tend to their self-care priorities. 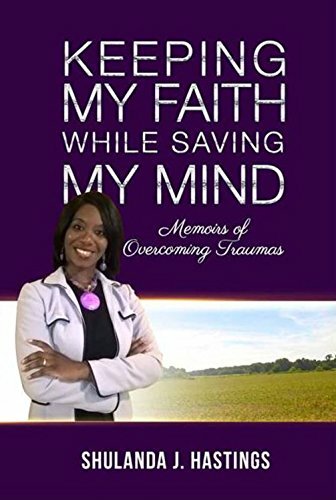 In the book, Keeping My Faith While Saving My Mind, there is a chapter entitled “Leading While Bleeding” where I transparently describe how it is to be a minister affected by a mental disorder. Although there are clergy that are in tune to their self-care needs, unfortunately, there is an alarming number that are not. Burnout, “a stressful state characterized by physical, emotional, and mental exhaustion, chronic fatigue, and lethargy” (Clinton & Hawkins, 2009) is a high stimulate that causes mental disorders such as depression to surface and when it remains untreated it can be fatal. So what is a resolution to this problem? One of the reasons why clergy suffer silently is due to shame and stigma. Ministers are placed on a higher pedestal because a grand standard is expected or even required of them. People usually assume that ministers’ needs are being met and that even if they are not, they have access to help and know when to ask for it. As I discussed in my memoirs, one of the reasons why clergy choose not to confide in their colleagues is the fear of being viewed as incompetent or ostracized. After all, pastors and spiritual leaders are to remind others about hope for the future and how the Gospel message is able to get them through the most difficult times. If you want to show your pastor appreciation this month and all year, help to make sure he or she is mentally healthy. You might be thinking that you can not approach your pastor in this way. And that’s okay. There are ways to get the conversation rolling or the resources to them if needed. You can inquire about what your church has in place for its leaders. You can suggest a training or a speaker to come to your church and talk about mental health. If you are a minister and dealing with burnout, know that you are not alone in your field. Help is available and there is nothing wrong with reaching out for spiritual support, as well as, community resources. Posted on October 25, 2017 by Ambassador ShulandaPosted in Advocacy, Empowerment, In the Church, Life Events, Mental Health, Relationships, UncategorizedTagged advocacy, burnout, clergy, depression, mental health, mental illnesses, ministers, pastors.